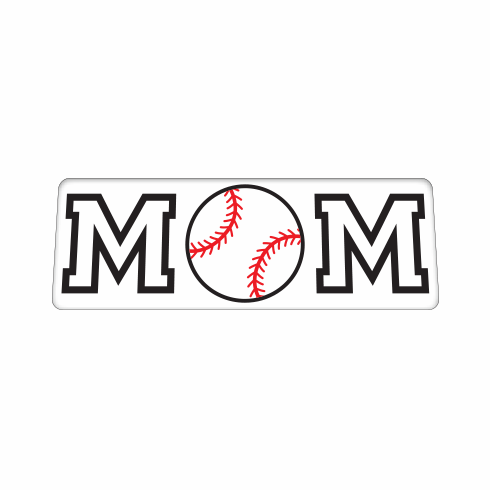 This Baseball Mom decal has red, black and white ink on a clear rectangular backing. Perfect for autos, home, laptops, trucks, and more! Domed decal thickness provides durability and enhanced visual appeal. Automotive grade adhesive back for glass, metal or plastic surfaces. Measures appx. 5 3/8" x 1 7/8".